Indian Army. তেজপূৰ ৰেলিৰ আবেদনৰ আন্তিম তাৰিখঃ ১৩ অক্টোবৰ ২০১৮. Army Recruitment Rally will be held for eligible candidates of districts Hojai, Biswanath, Nagaon, Sonitpur & Morigaon from 29 Oct 2018 to 03 Nov 2018 at Solmara Military Stadium, Tezpur. Online registration is mandatory and will be open from 30 August 18 to 13 October 18. Admit Cards for the rally will be sent through registered e-mail from 14 October 18 to 28 October 2018. Educational Qualification: SSLC/Matric with 45% marks in aggregate and 33% in each subject No aggregate percentage required for higher qualification 10+ 2 and above, however minimum 33% in each subject required. Educational Qualification:(a) 10+2/Intermediate Exam pass in science with Physics, Chemistry, Biology and English with 40% marks in these subject 50% marks in aggregate. (b) Candidate should be Graduate with Botany, Zoology/ Bio Science & English. The stipulation of percentage in class 12th is off in case of Graduates. However, the candidate should have studied all the four specified subjects in Class 12th also. Educational Qualification: 10+2/Intermediate Exam pass in any stream (Arts, Commerce, and Science) with 60% marks in aggregate and minimum 50% for each subject. Should have studied and passed English and Maths/Accounts/ Book Keeping in class X or Class XII with 50% in each subject. Note: Even if a candidate is a Graduate or has a higher qualification % mark in 12th would be applicable towards his eligibility. Educational Qualification: 10th Simple Pass/ITI (Except House Keeper and Mess Keeper who may be 8th Pass). education certificate should be certified ink signed by the head of the educational institution of concerned Board/University. Candidates with matric certificates from open school should bring school leaving certificate countersigned by BEO/DEO. (e) Caste Certificate. Caste Certificate affixed with photograph (Maharashtra State does not issue with a photograph of the candidate issued by the Tehsildar/District Magistrate). (f) Religion Certificate. Religion Certificate issued by the Tehsildar/SDM (if religion as “SIKH/HINDU/MUSLIM/CHRISTIAN” is not mentioned in caste certificate. (h) Character Certificate. Character Certificate with photograph issued by Village Sarpanch/Municipal Corporation within the last six months. (j) Unmarried Certificate. Unmarried Certificate for candidates less than 21 years of age with photographs issued by the village Sarpanch/Municipal Corporation within the last six months. (i) Relationship certificate issued from respective records office only duly signed by records Officer with Personal number, Rank, Name and particulars of the records officer issuing the relationship Certificate with office seal/stamp is endorsed. (l) NCC Certificate. NCC A/B/C certificates and Republic Day Parade certificate should have a photograph of the candidate duly attested by issuing authority Provisional NCC A/B/C pass certificates will only be accepted if authenticated by concerned NCC Group Commanders. (n) Affidavit. Duly signed by the candidate on Rs 10/- No-judicial Stamp paper as per specimen duly attested by notary will be submitted by the candidate. (o) Single Bank A/C, PAN Card & AADHAR Card. Single Bank A/C, PAN Card & Aadhar Card are mandatory documents for final enrolment for purpose of pay and allowances and other social benefits scheme. a) Candidates will be permitted entry into the rally site only on production of Admit Card in duplicate generated online through the official website www.joinindianarmy.nic.in. Anyone found with fake admit card will be handed over to civil police. b) All documents submitted by the candidates are verified by government agencies before enrollment into Army. Strong legal action will be taken against individuals submitting fake documents. Even after recruitment, the service will be terminated if candidates are found to have produced fake documents or gave wrong information at the time of recruitment despite the number of years of service individual may have rendered. c) Candidates may require to present themselves at rally site for three to four days. Candidates should make arrangements for a stay under own arrangements. d) Negative marking would be applicable in CEE. 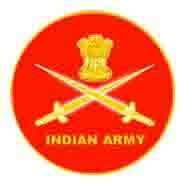 e) The result of the written examination will be declared on the official website joinindianarmy.nic.in. No separate letter will be sent to the candidate. It is the responsibility of the candidate to check his result and report to ARO for documentation. a) Rally Date: 29 Oct 2018 to 03 Nov 2018.
b) Registration Date: 30 August 18 to 13 October 18.
c) Admit Cards Availability: 14 October 18 to 28 October 2018. Venue: Solmara Military Stadium, Tezpur.